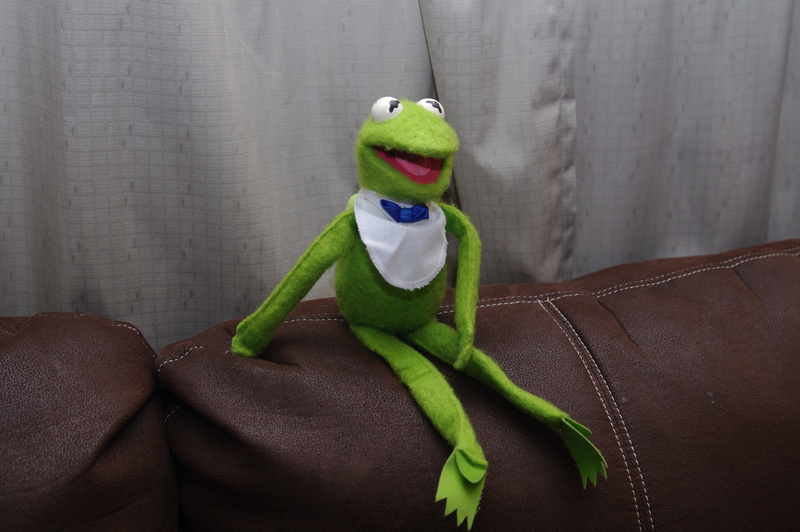 Who doesn’t love Kermit the Frog? 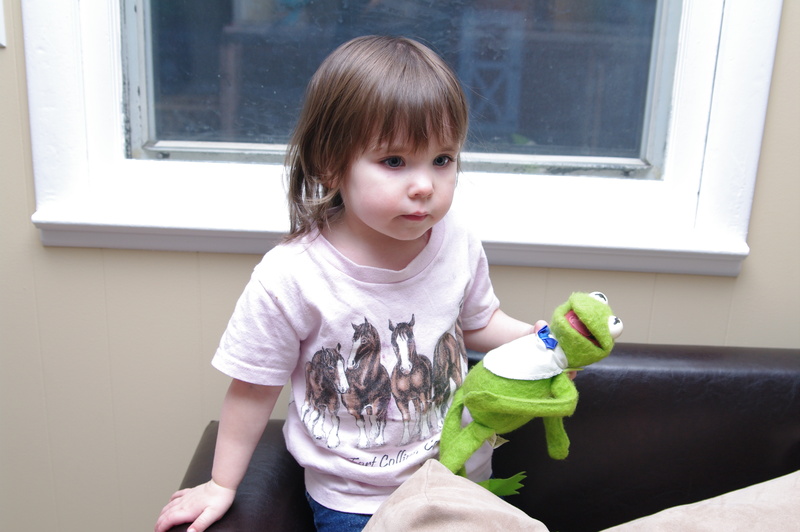 Up to this point, Cadence had only seen The Great Muppet Caper and commerical trailers for the newest Muppet movie on TV. She loved them immediately and would scream “Mupp-eh! Mupp-eh!” the moment they appeared. 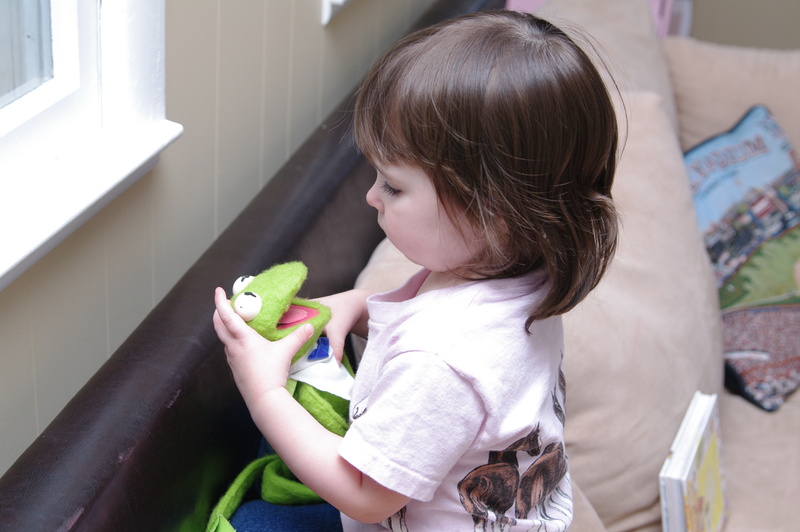 So, I should have known that she would immediately grab my old Kermit doll the moment I pulled him out of the old box in the basement. She hasn’t let him go since. 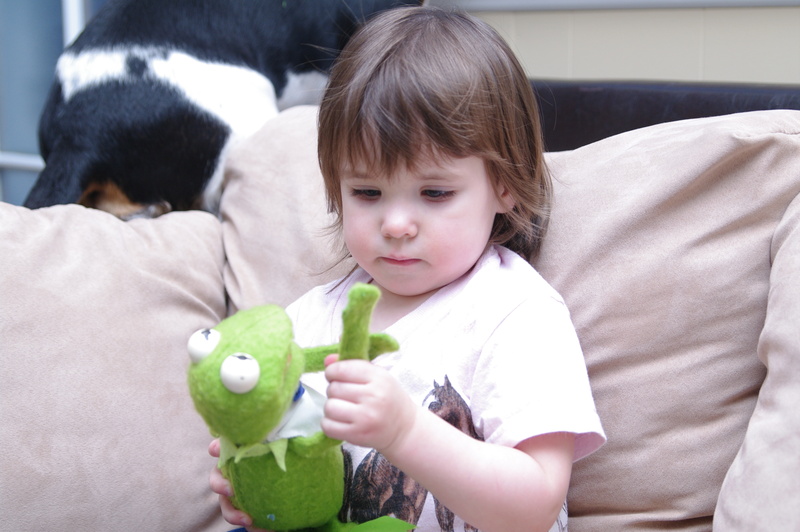 Kermit is now one of Cadence’s regular playmates. He gets carried around the house, plays with Cadence in her kitchen, sits on the couch while she sits down for dinner, and even gets to sleep in her crib at night. He has also been on several car trips to run errands and go grocery shopping, and Cadence makes sure that Kermit has a front row seat when we snuggle on the couch and watch movies. Good thing I wasn’t thinking about getting rid of Kermit during my decluttering. I imagine I would have one very pissed off toddler on my hands. Don’t worry, Kermit, you’re here to stay. 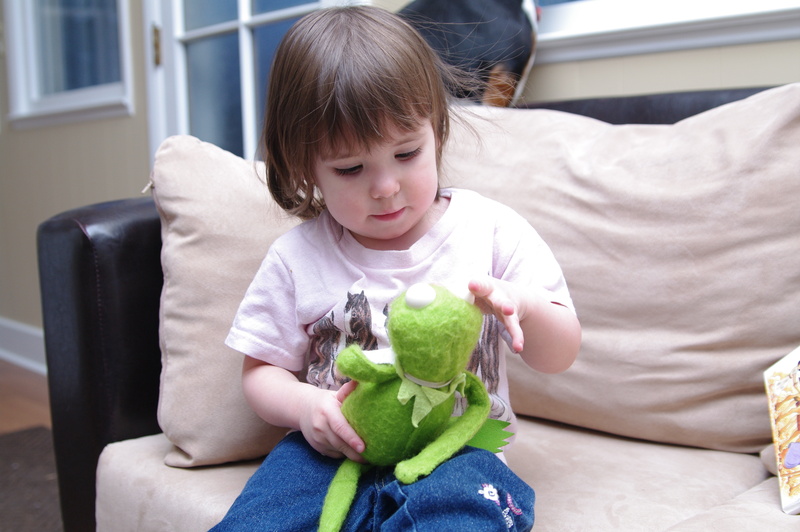 You and Lindy loved Kermit. I’m so glad I kept him since Cadence is enjoying him so much. Honestly, I think Cadence has a new green crush. Don’t tell Rango! 🙂 Thanks for keeping Kermit all these years! You kept so much great stuff! Can’t wait to dig through more!